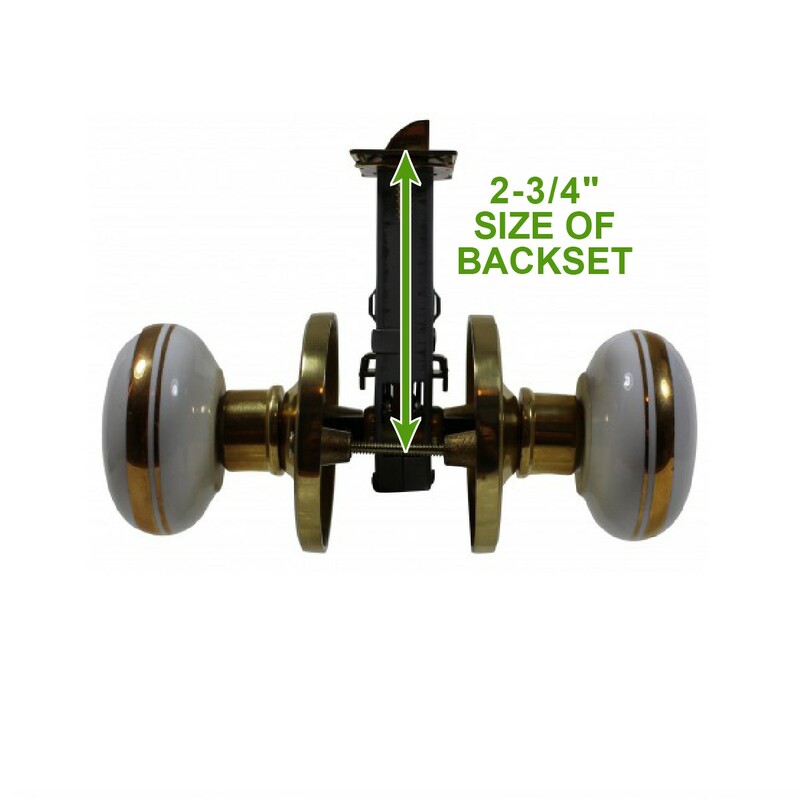 Door Knob Privacy Sets install quickly, look luxurious and give a door security. 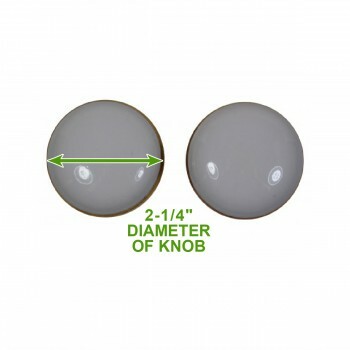 Acquire your Door Knob Privacy Sets here today. 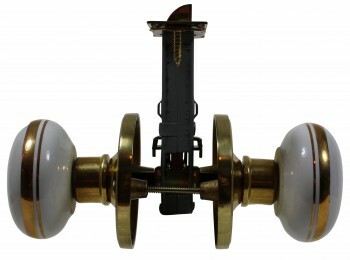 Features a solid brass and steel inner mechanism? 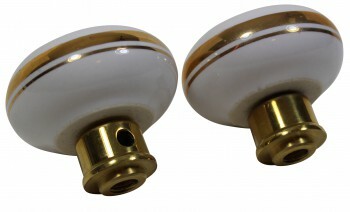 Is protected by our exclusive RS finish? Includes two (2) elegant, porcelain knobs? 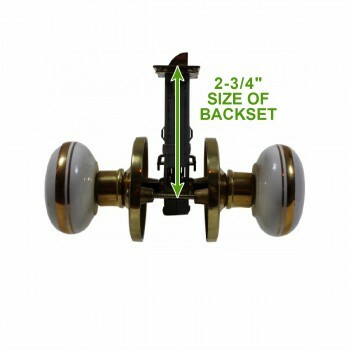 Features a push/pull lock button on one side? 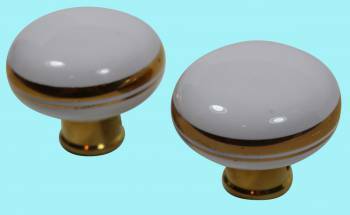 Door Knobs: This white porcelain with gold edging privacy set includes two brass knobs, brass and steel latch and circular backplate with 1/4" square spindle. Push/pull privacy button for locking the door form one side. The distance from the edge of the door to the center of the knob is 2 3/4" and the doorknob is 2 1/4".